Team Canada wheelchair rugby coach Patrick Cote holds court during a weekend practice at the Richmond Olympic Oval, as the team prepares to host the 2018 Canada Cup international tournament starting Thursday, June 14. Ranked No. 3 in the world, Canada plays Sweden in the tournament opener at 5 p.m.
Gail Hamamoto has dedicated considerable time and energy to promoting wheelchair sport. A particular success has been wheelchair rugby. A member of the Canadian Paralympic Association development committee since 2005, the Richmond woman continues to be at the forefront of the game also known as Murder Ball. This week, Hamamoto is overseeing the 2018 Canada Cup, an international wheelchair rugby event this year featuring teams from Australia, Denmark, Japan, Sweden, the U.S. and host Canada. 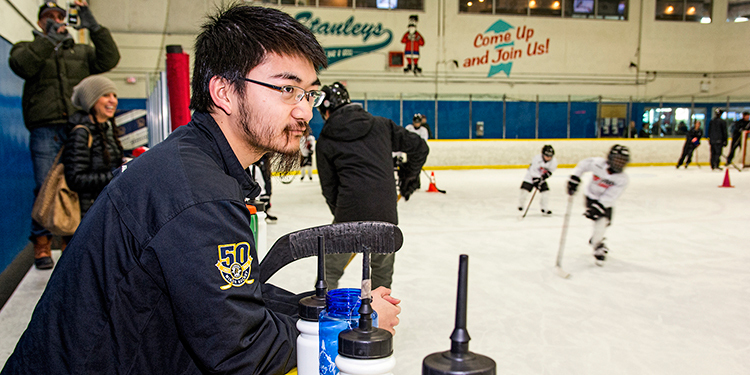 The thrills-and-spills-a-minute tournament begins Thursday and continues through Sunday at the Richmond Olympic Oval. Bringing to the table more than two decades experience as an athlete, coach, official, volunteer and sport administrator, Hamamoto was director of sport development for BC Wheelchair Sports from 1998 to 2012, and since 2007 has chaired the Canadian Wheelchair Rugby Management Committee. She co-chaired the organizing committee for the 2010 World Wheelchair Rugby Championships at the oval, and has attended the 2004, 2008 and 2012 Paralympic Games as a representative of the sport. Efforts such as these were instrumental in the creating of the Canada Cup in 2004. The event is held every two years at the oval. All entries in the 2018 Canada Cup, the eighth version of the tournament, are among the top six wheelchair rugby teams in the world. 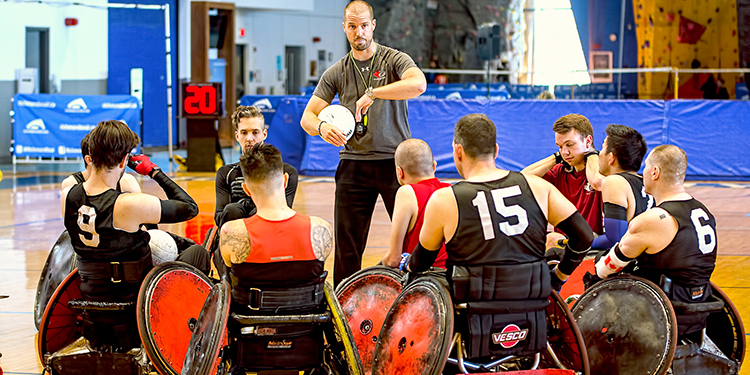 The Canada Cup represents the final competition ahead of the World Wheelchair Rugby Championships this August in Sydney, Australia. 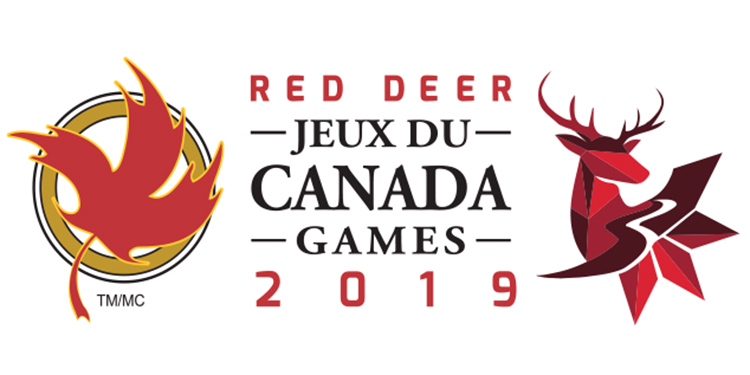 Ranked third in the world, Canada takes on Sweden in the opening game of the tournament June 14 at 5 p.m. Round-robin play will continue through June 16, with the finals on June 17. Perennial runners-up to the U.S. or Australia at previous Canada Cups, Canada is looking to rebound from a fourth-place finish in 2016. Sporting a new-look lineup, Canada will have five players set to make their tournament debuts alongside seven returning Paralympians including co-captain Trevor Hirschfield. The team also features Richmond’s own Travis Murao, another veteran of the squad. The U.S. is the defending Canada Cup champion, dethroning Australia in the 2016 final. However, Australia is ranked No. 1 in the world, with the U.S. second. Wheelchair rugby is a team sport for male and female athletes with a mobility-related disability in at least three limbs. A unique sport, it combines elements from basketball, handball and hockey. The object of the game is to carry the ball across the opposing team’s goal line. Two wheels must cross the goal line for a goal to count, and the player must have firm control of the ball when he or she crosses the line. All wheelchair rugby players compete in manual wheelchairs. Players must meet the minimum disability criteria of the sport and must be classified under the functional classification system. Wheelchair rugby was invented in 1977 in Winnipeg by a group of athletes with quadriplegia who were looking for an alternative to wheelchair basketball. They wanted a sport that would allow players with reduced arm and hand function to participate equally.